Well if you have crypto in Poloniex get it out, my lawyers are filing an SEC complaint against the USA based Exchange for STEALING 75 BILLION STEEM POINTS from my Account today on STEEMIT. 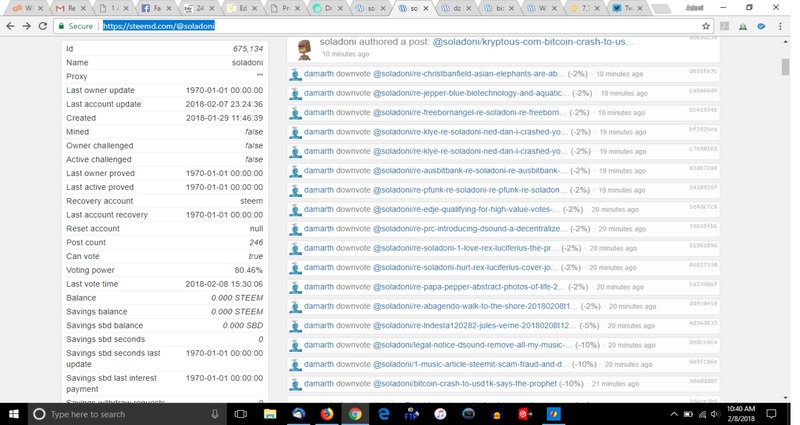 It wasn’t bad enough that I caught the owners of STEEM Ned Scott and Dan Larimer red handed STEALING over 500 BILLION POINTS from my account, but now Polyoniex has sent the bot they funded DAMARTH to look my account. Something like 20 Downvotes at 2% power stole 75 BILLION STEEM POINTS from my account. 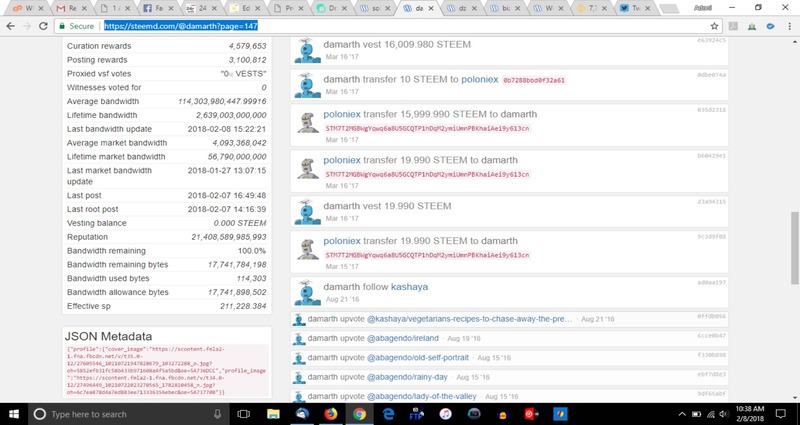 Look at the blockchain record, the STEEM bot DAMARTH was funded by POLONIEX. This action puts them out of business since I will now bankrupt that exchange with a criminal complaint with the SEC from my lawyers and a huge civil lawsuit for billions in damages to teach them you do not STEAL from anyone. Poloniex hitting my account over and over each hit cost me like 4 BILLION POINTS a hit.